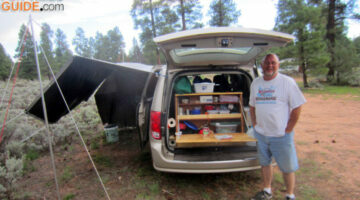 So you've decided to live full time in your RV... Congratulations! 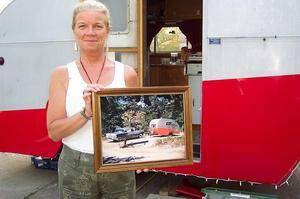 Here, RVers are sharing their favorite tips for downsizing your life (and your stuff!) 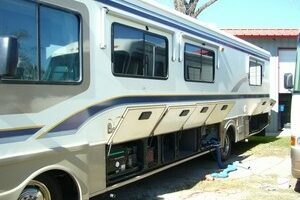 so it fits into your new RVing lifestyle. 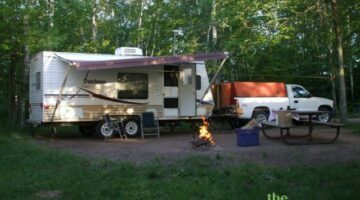 See everything you need to know about living in an RV full-time -- from filing taxes to getting health care and RV insurance, forwarding mail, cooking, banking, traveling with pets, and working on the road. 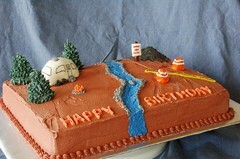 And if you're going to be spending holidays on the road, we've even got fun decorating & food ideas to help you enjoy the seasons and celebrate the holidays from the comfort of your RV! 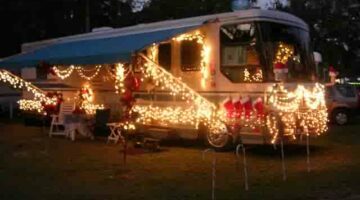 Decorating your RV with Christmas lights and holiday decorations this year? Need some ideas?… Or perhaps some motivation?… What follows is a photo & video gallery featuring RVs decorated to the hilt for Christmas. 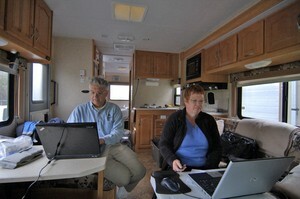 Working on the road, in the comfort of your own RV — could life be any better? 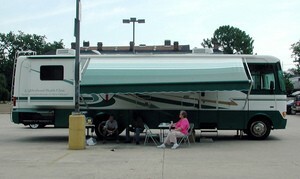 See how to create an RV office while you’re on the road. 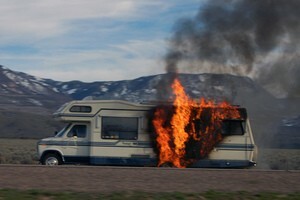 With an effective RV disaster plan, your ability to escape a rapidly spreading fire is greatly enhanced. For example, if there’s a fire, smoke and toxic gases can leave you with mere seconds to get out! Here are some tips. 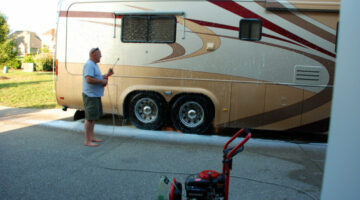 Warning: Most RV Storage Compartments Use The Same Key! 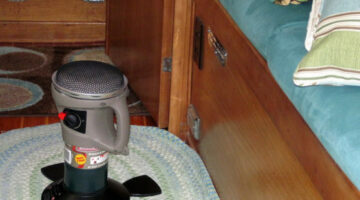 Most RVs use the same key for all outside storage compartments. 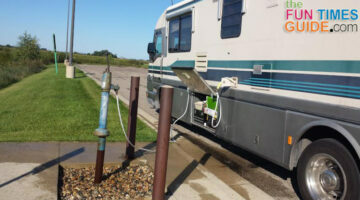 The entrance door lock isn’t much better when it comes to RV security. 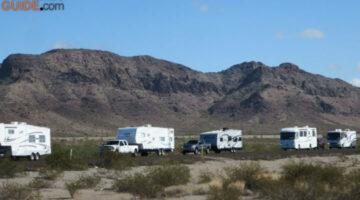 Keep this in mind, especially when storing your RV for the off-season. Never leave valuables inside.